Great news, our Geo Target plugin has been updated to version 1.3 and includes some great new features. With version 1.3 of the Geo Target plugin, you can now create your geo target shortcodes in a central place, so you can easily update site-wide shortcodes and CTAs throughout your site. For example, let’s say you have a button, featured table, or common content that you Geo Target on several pages. Instead of updated that piece of content on a page by page basis, you can now update it once and all the pages will update. 1. 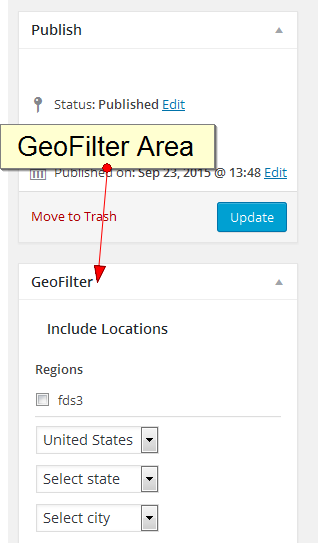 The first step is to locate the Geo Shortcodes post type in your WordPress admin area. 2. Next, add your content you wish to target. You can include other shortcodes and formatted text as usual. 3. Next, locate the GeoFilter Section on the right and choose Country/State/Region to include or exclude from this content. 5. 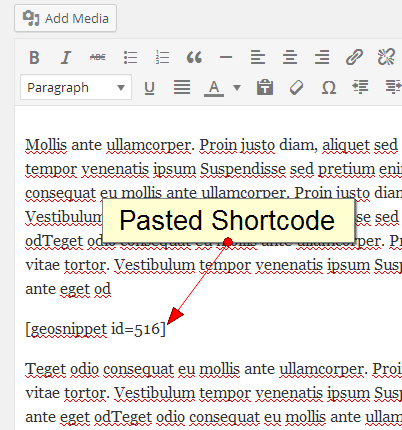 Copy that shortcode and place it in any post or page that you want to display and geo target that piece of content. You can do this mulitple times to have several shortcode on one post or page. If you ever need to target a different state or country, you can always edit the original shortcode once and it will update the content on all the pages/posts you have it displayed on. Also new in version 1.3 is the ability to geo target pages and posts and send users matching the geo target rules to a different page. For example, let’s say you have a page that contains all US content and you would like a visitor from Germany to be directed to the German focused content. You can set a rule that when the visitor from Germany visits that page the will be automatically redirected to another page of your choosing. 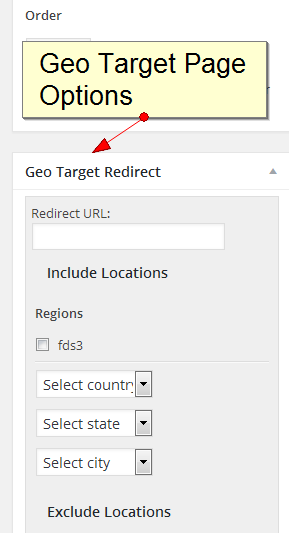 You will see this new feature on pages and post on the right side called Geo Target Redirect. Basically you can choose up to 3 instances of where to send a visitor based on their IP. Just enter the URL to send them to and configure your Geo Target option. If you do not have the plugin you can purchase it here.